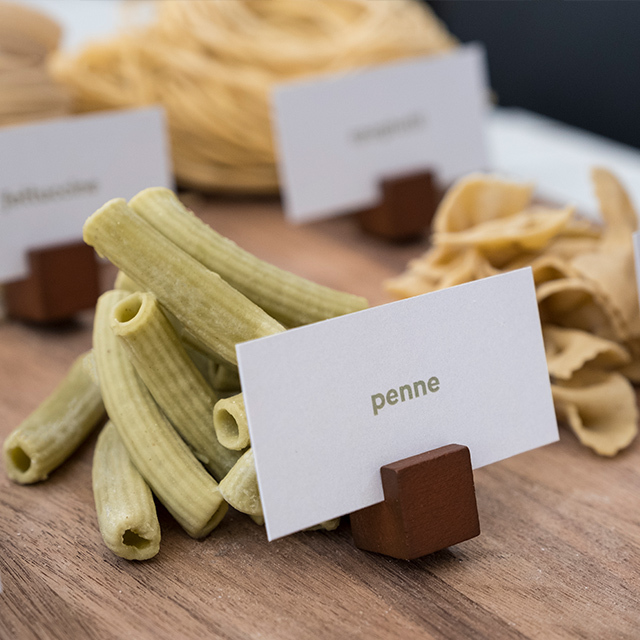 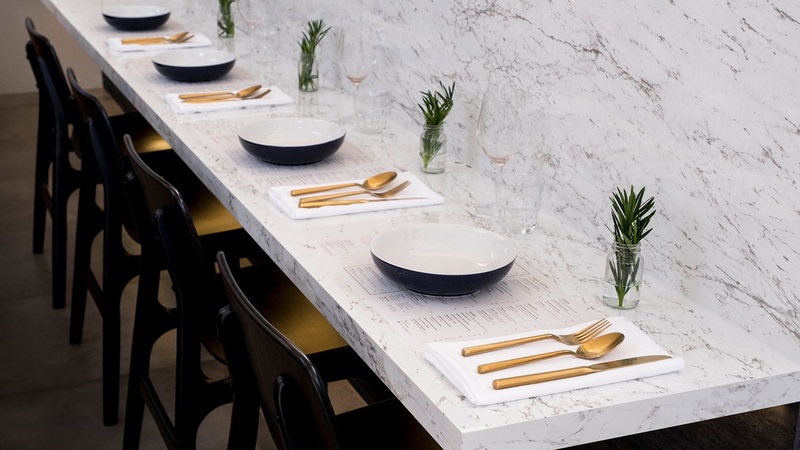 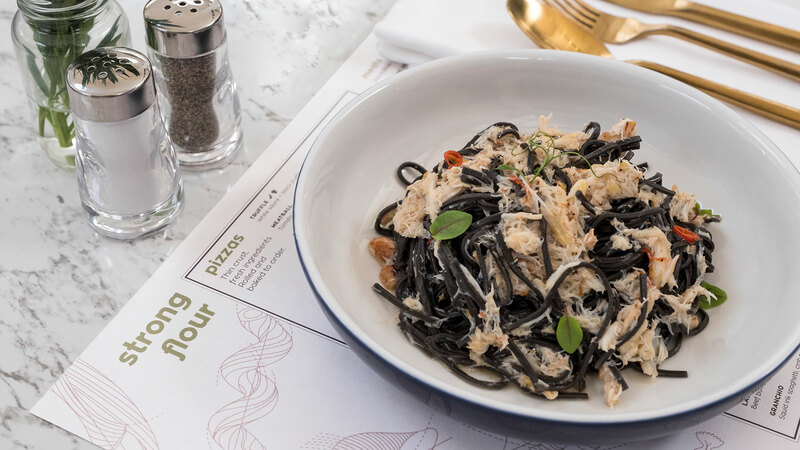 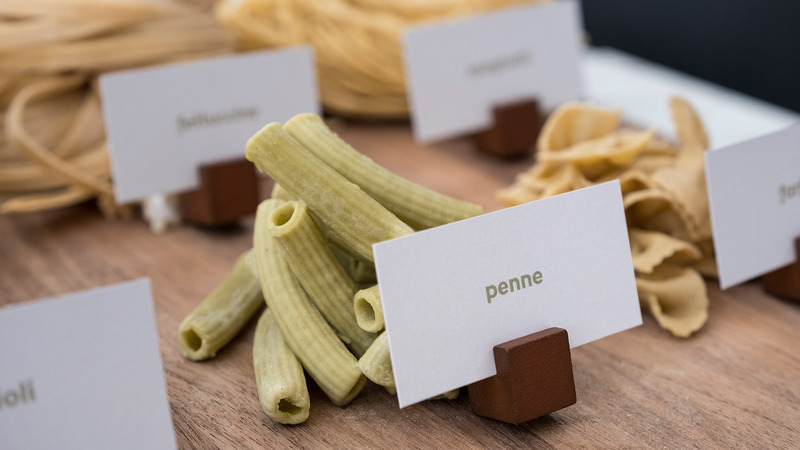 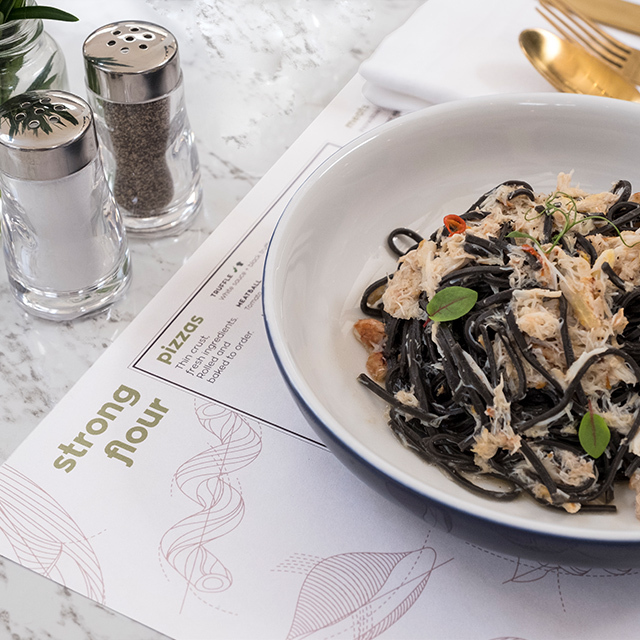 A new casual restaurant that specialises in handmade pasta prepared fresh daily, Strong Flour is located within an atrium of a shopping mall in Katong. 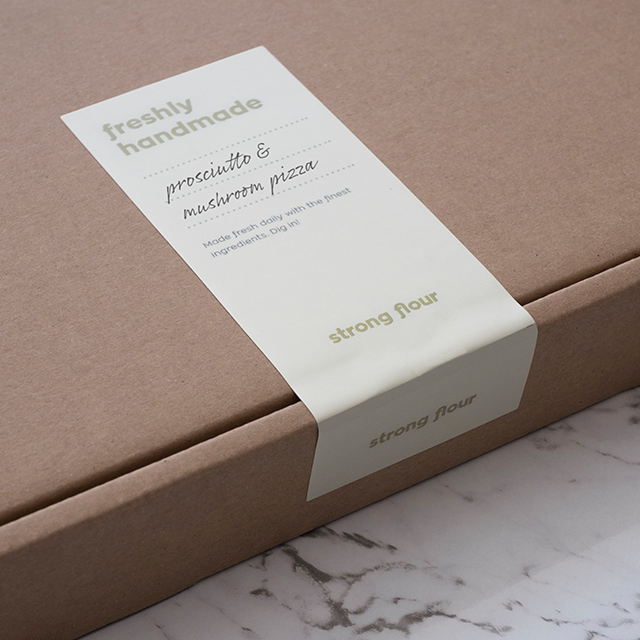 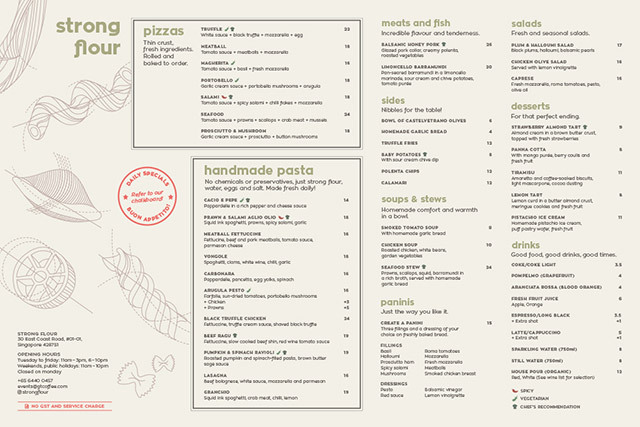 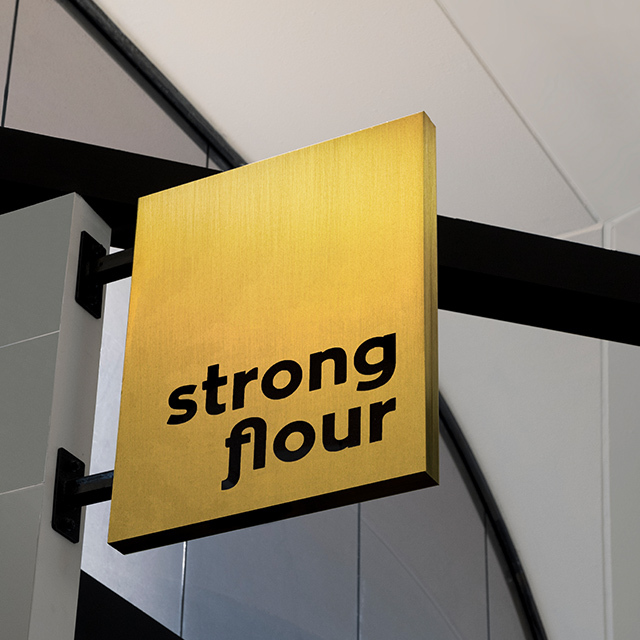 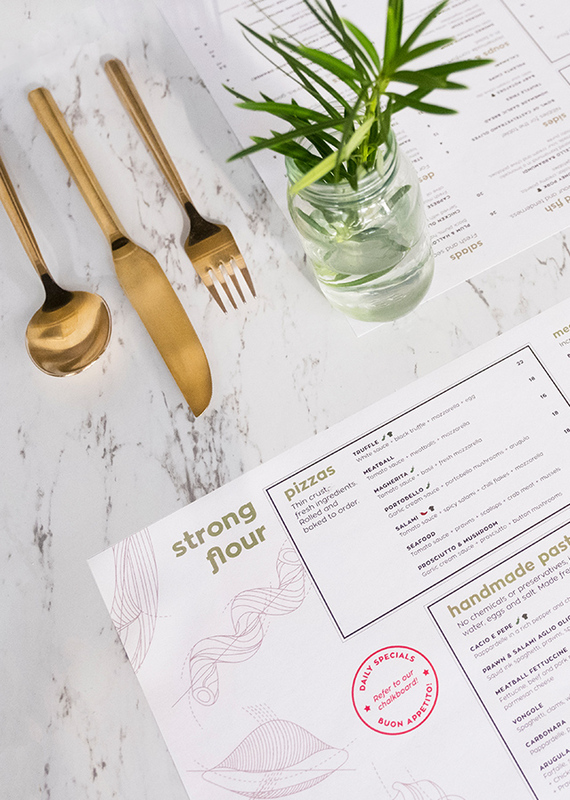 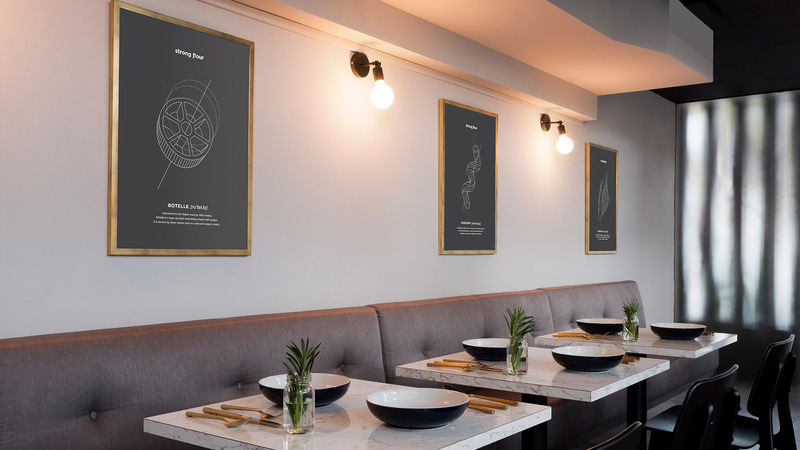 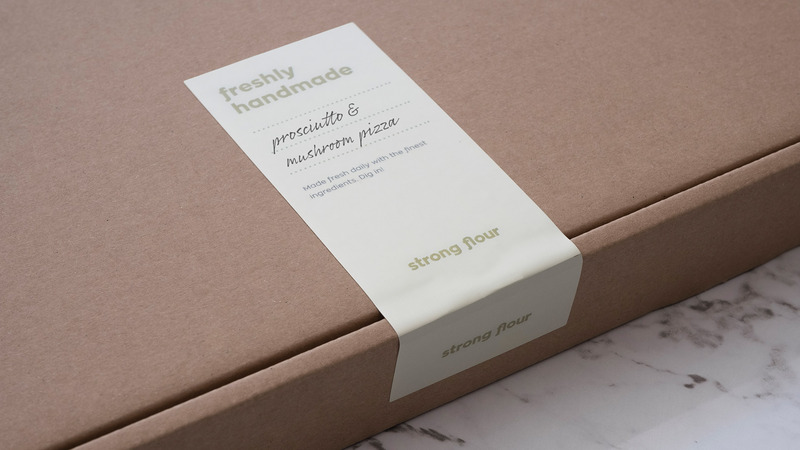 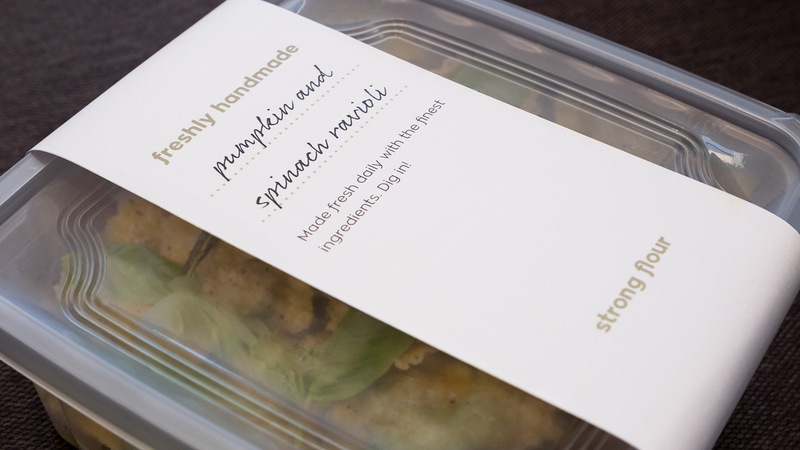 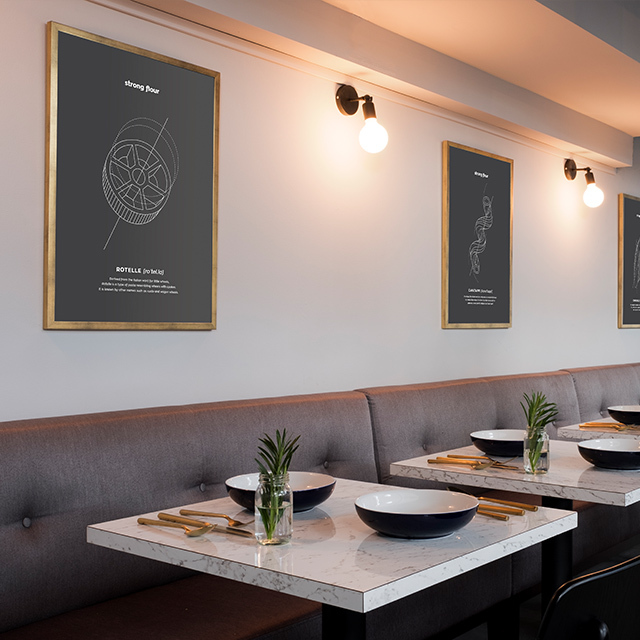 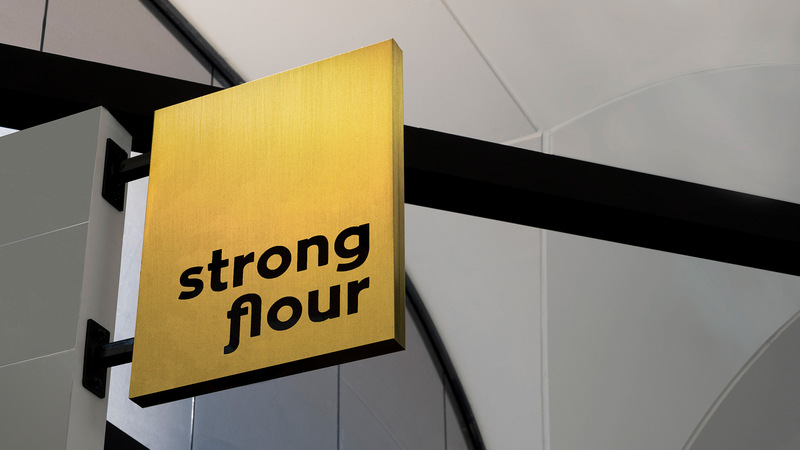 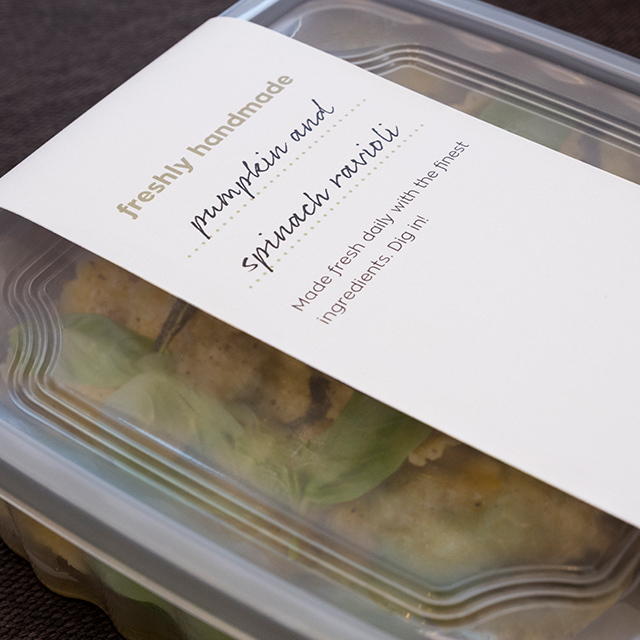 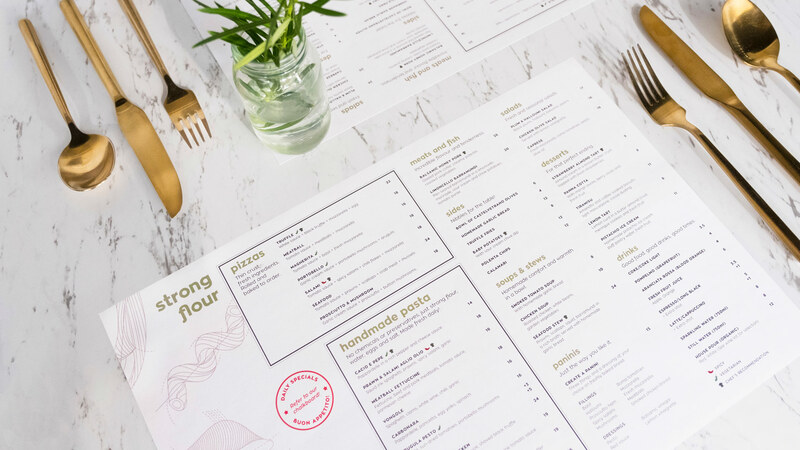 Manic designed the Strong Flour brand, the space and the collaterals, including placemats, menus and takeaway packaging. 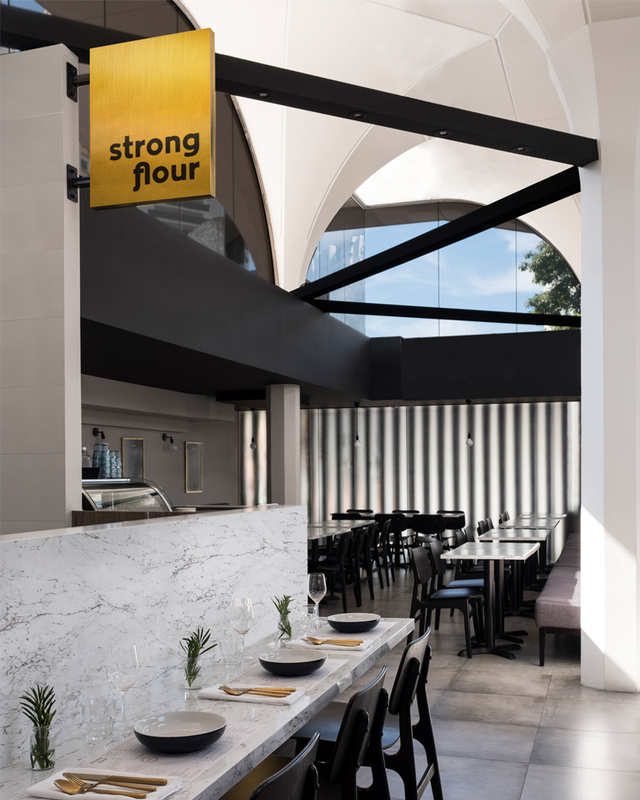 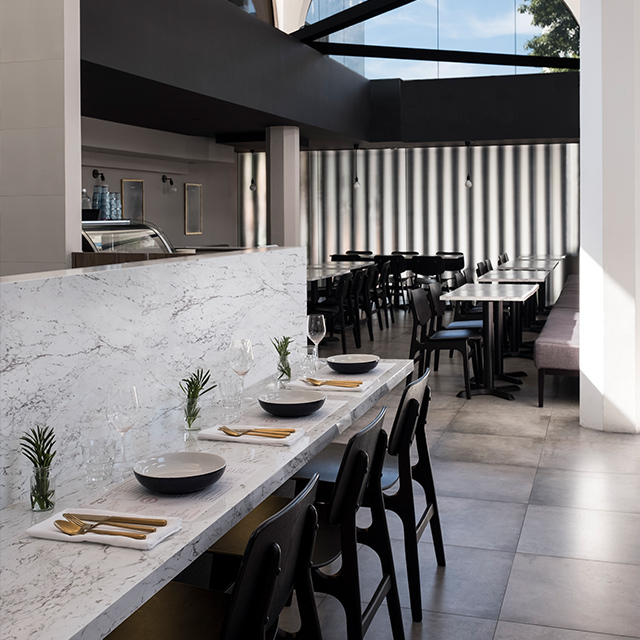 The restaurant's open plan posed several challenges with its high uneven ceilings and the abundance of natural light which changes by the hour. 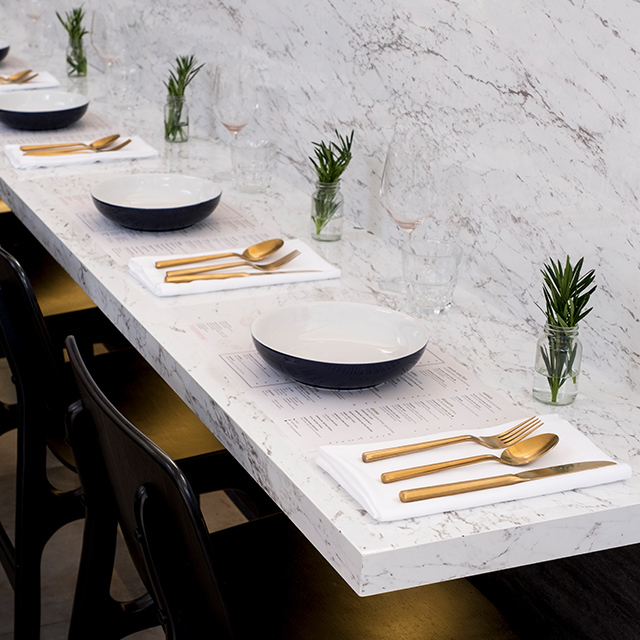 We designed beams with down lights that bathed the space in a warm glow, especially at dinner service.